The high standards of responsiveness, security, and reliability the fintech sector demands from its products mean that you need to carefully weigh your options before you bet on a programming language for developing your app. Do you have an idea for a fintech app and are now shopping for the right technology? Or maybe you’re looking for a candidate to replace Java? You're in the right place. Atlassian (Jira and Trello), Uber, Pinterest, Basecamp - they all have implemented Kotlin in their products. At Netguru we've used Kotlin for some projects for our partners. We also shared our lessons learnt and tips for coding, based on developing this CoolCal Android app or this chat app VideoChatGuru - an open-source solution written entirely in Kotlin, based on a WebRTC implementation. 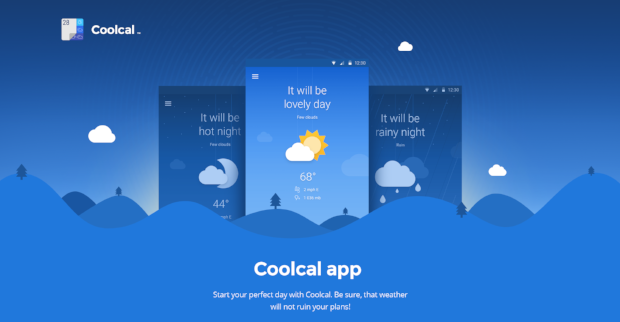 A showcase app with a two-fold usage: it shows the current weather conditions and links them with the user’s upcoming events. Why is Kotlin a good choice for fintech or digital banking? 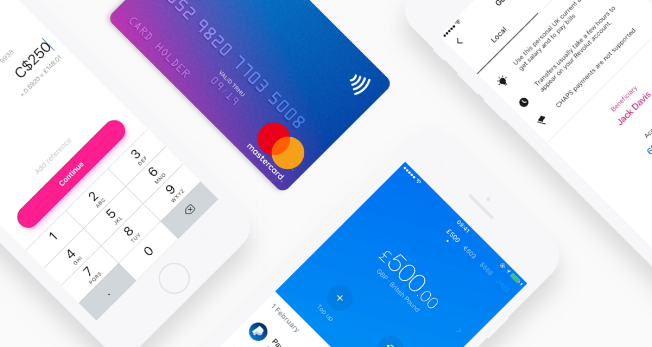 Revolut and Monese know a thing or two, as they’ve used Kotlin to develop their products (e.g quick payments features in Monese). Kotlin is a modern, statically typed, open-source language used to build web applications, mobile applications for Android, backends, and everywhere else where developers use the JVM. This understandable and straightforward language is 100% interoperable with Java, so far the most common choice for traditional banking systems. However, Kotlin is an expressive language that is far more concise than Java (meaning: less prone to errors), making it the perfect candidate for replacing it in the finance sector and beyond. 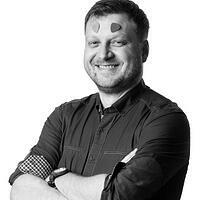 Netguru builds digital products that let people do things differently. Share your challenge with our team and we'll work with you to deliver a revolutionary digital product. Create a Kotlin product with Netguru. Why is Kotlin so hot right now? Kotlin was introduced in 2011, but it took the 2017 announcement of being officially supported as a first-class Android development language to bring Kotlin to the limelight. Leading tech companies such as Atlassian, Uber, and Pinterest have been using Kotlin for a long time before that. Kotlin is so prevalent today because it's an excellent replacement for Java. While Java is a robust and reliable technology, it is still on its way to slowly becoming obsolete. Moreover, Kotlin's similarity to Apple's Swift helps Android and iOS developers to quickly switch between the languages and develop enterprise mobile applications for each platform. Kotlin is so prevalent today because it's an excellent replacement for Java. What makes Kotlin an excellent choice for fintech products? Compatible – developers can deploy Kotlin to the Java Virtual Machine (JVM) platform like any other Java app. JVM is a proven technology, and an industry standard used by organisations in large projects today. JVM offers many benefits: it’s a highly performant, battle-­tested execution environment that boasts fine-grained security control, provides support for concurrency and utilisation of multiple cores, and is easy to monitor and instrument. Powerful toolset - Kotlin interop allows reusing the best set of tools developers are already using with Java. Kotlin devs can take advantage of a broad range of libraries, tools, frameworks and third-party service providers - all surrounded by the collective wisdom of the massive pool of developers who are familiar with this ecosystem. Efficient – thanks to the stable and tested Java concurrency model, developers can easily write highly efficient concurrent/parallel data processing apps. These apps are a standard model in fintech. Expect any fintech application to run thousands of concurrent sessions at a time to support multi-tier functionality - and that’s where Kotlin comes in handy. Reliable – Kotlin's features help to develop highly reliable software, fast. The language eliminates the danger of null pointer exceptions by making “null” a part of the type system. While you will be handling a possible invalid state for every nullable type, Kotlin will offer you a helping hand thanks to its improved syntax. Modern – Kotlin is a state-of-the-art technology that will attract plenty of talented developers to your project. Just have a look at any job board, and you’ll see plenty of postings coming from organisations in the finance industry. Dependable – JVM deployment and Java interop allow reusing established, battle-tested Java libraries and other tools. Based on established tech – Kotlin is a stable language with an established API. Developers are busy maintaining its compatibilities, so you can be sure to rely on it for years to come. Corda, an open-source blockchain project that allows building interoperable blockchain networks for direct transactions, is an excellent example of a reliable and powerful app written in Kotlin. Have a look at the app's Github repository here. Revolut, one the the fastest growing fintech companies, takes advantage of Kotlin as well. Its developers recently shared an exciting presentation about using Kotlin to build a multiplatform architecture for iOS and Android. The mobile banking service Monese also used Kotlin to build the quick transactions feature, which enables users to track and categorise their spending, in their Android app. If you're searching for the best technology for developing your fintech product, look no further than Kotlin. Since many banking systems run on Java, Kotlin's interoperability with this language opens the door for fintech ventures to boost the quality of their products. After all, both traditional banks and cutting-edge fintech companies value the same things: reliability and security. Moreover, Kotlin is a great choice for mobile app development, an area that is essential to modern digital banking services that aim to deliver a top-notch and secure experience. You'll also be able to attract talented developers who will add more value to your project, helping position your product on the leading edge of the fintech industry.